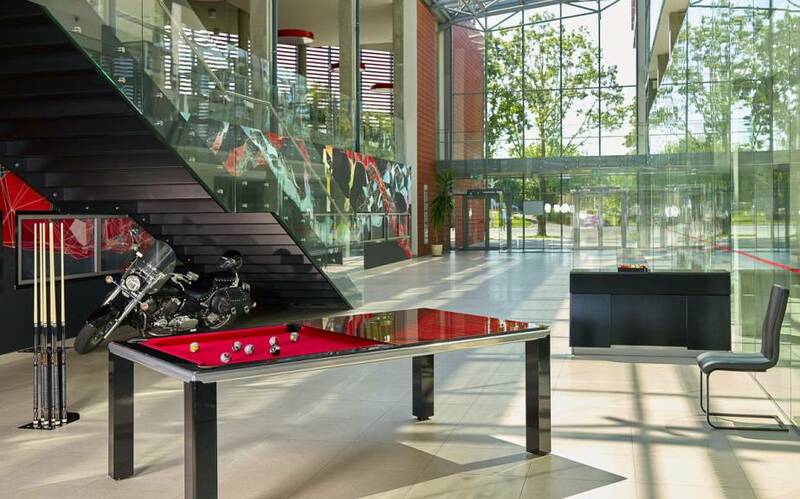 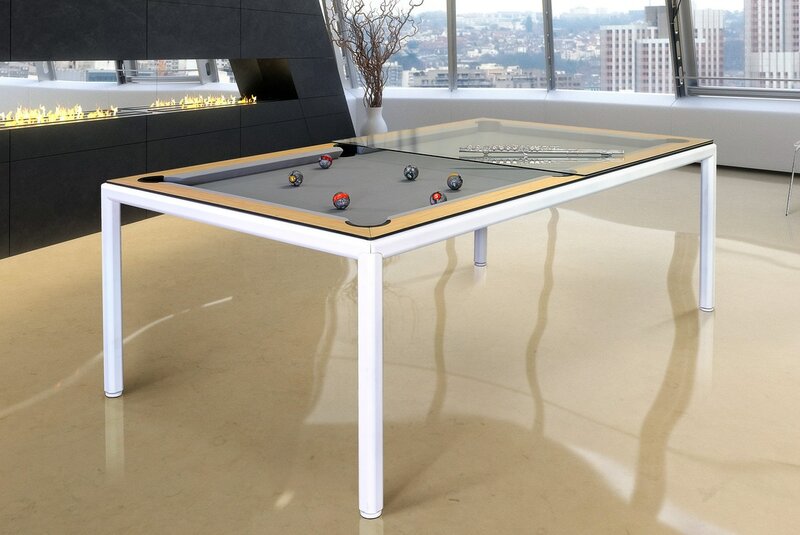 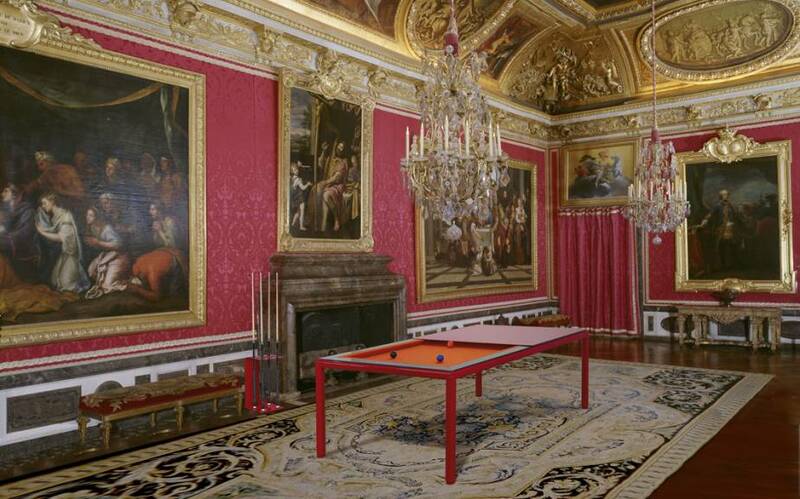 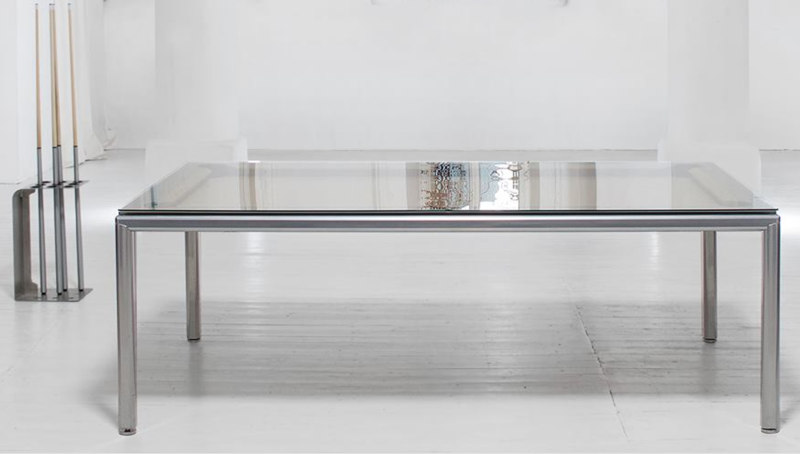 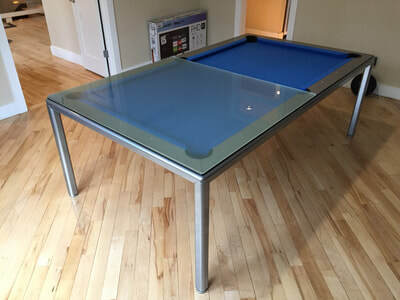 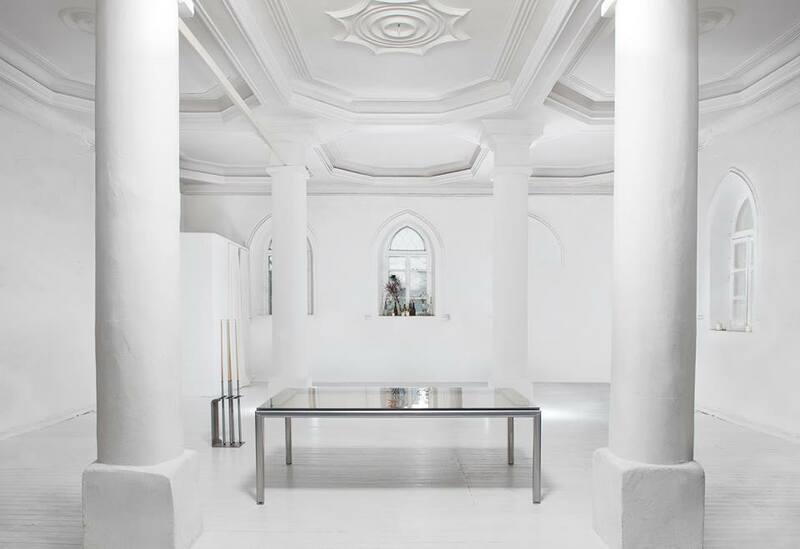 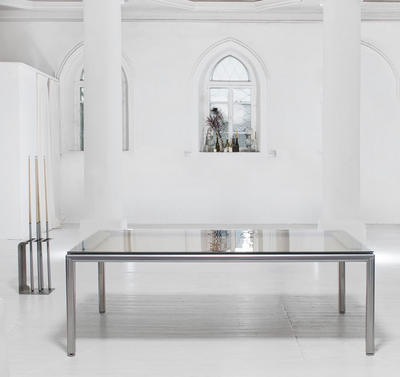 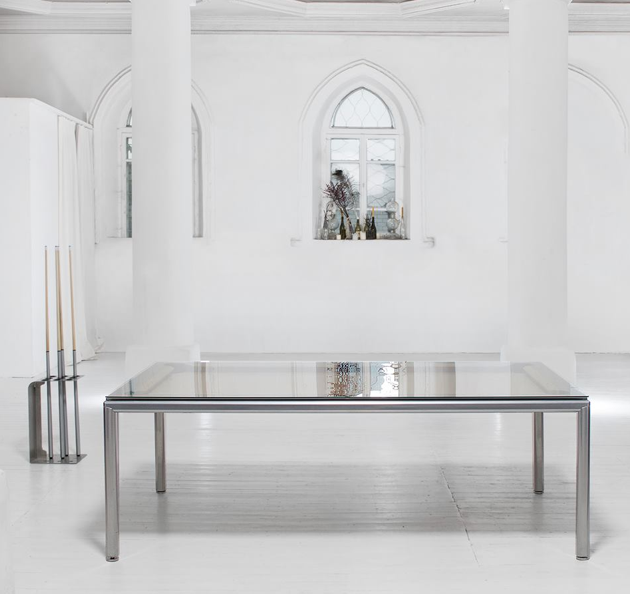 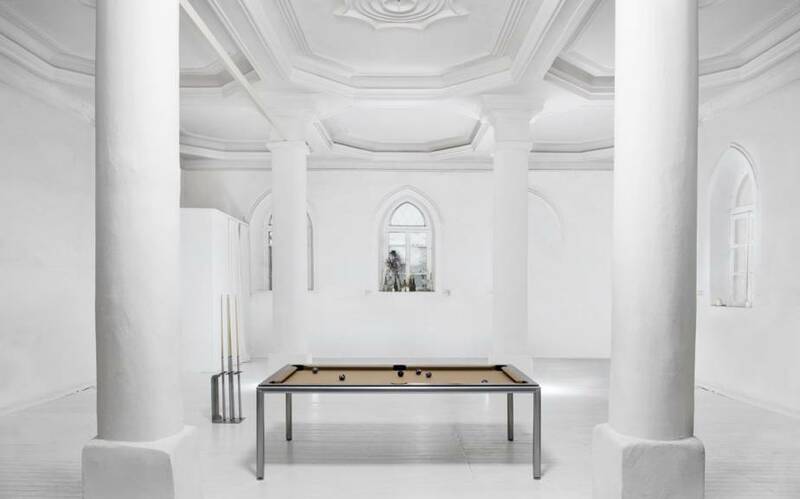 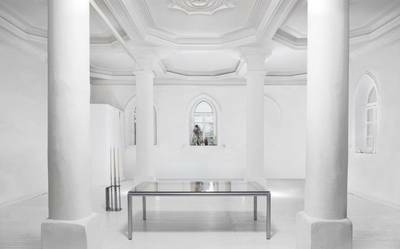 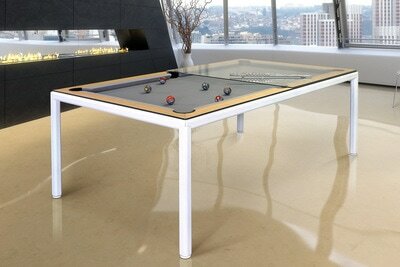 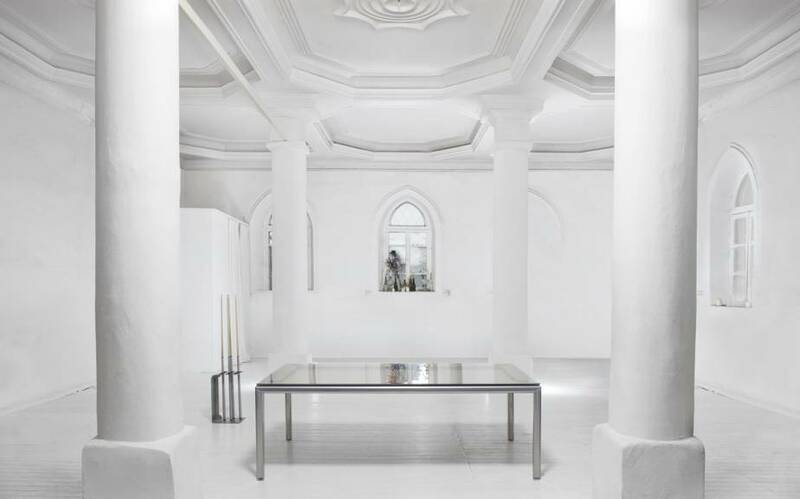 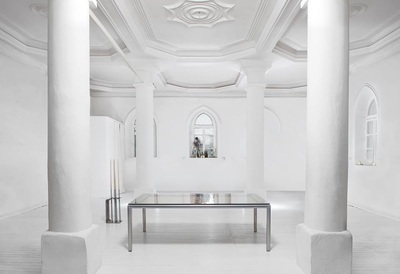 ​We would like to introduce you to our modern, ultra thin design dining pool table... the “SIMPLY”. 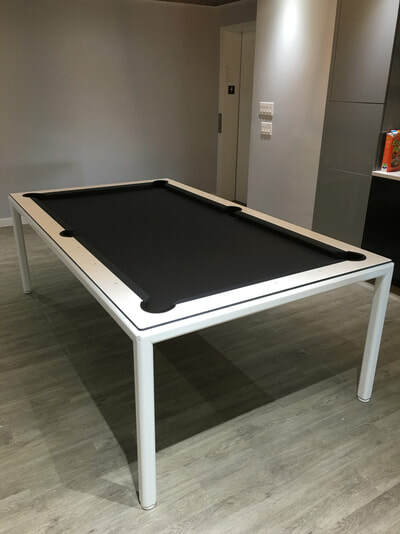 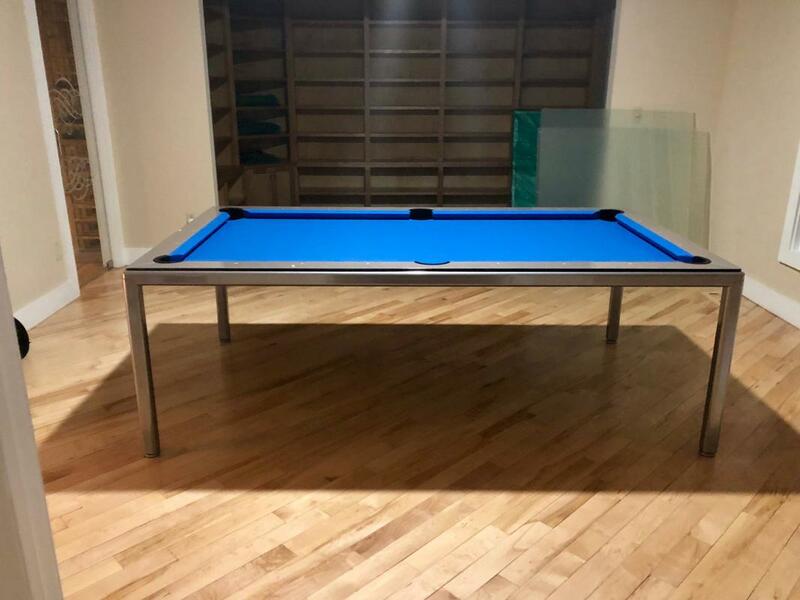 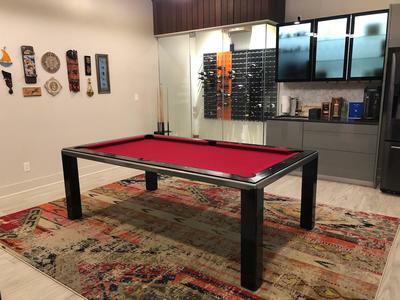 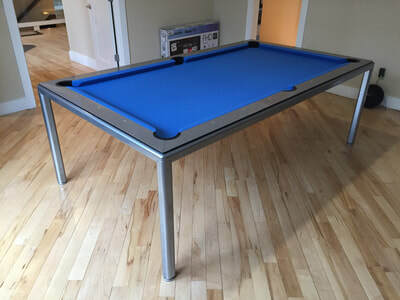 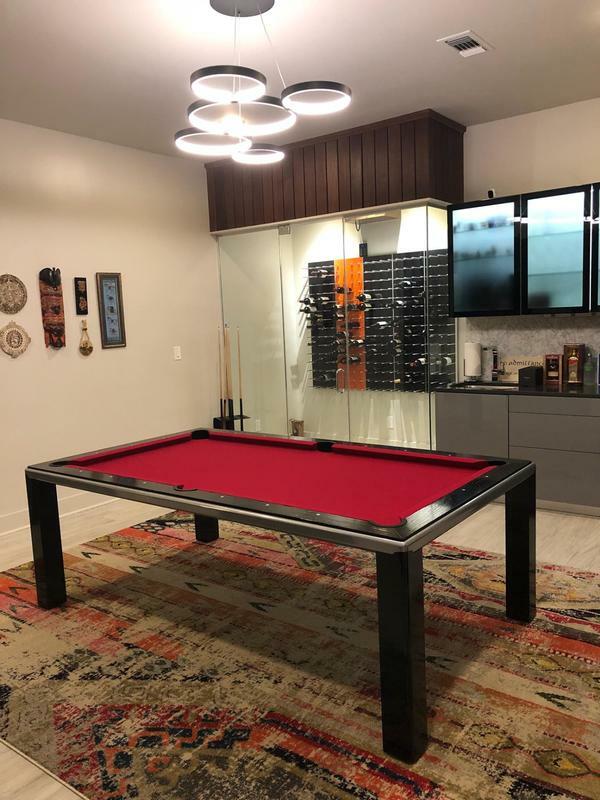 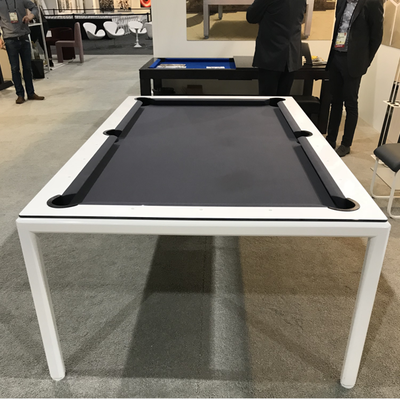 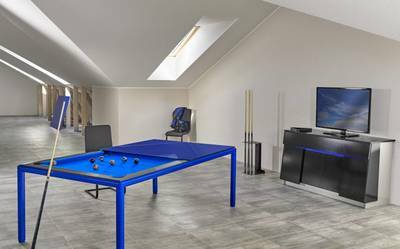 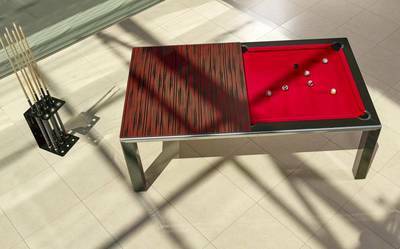 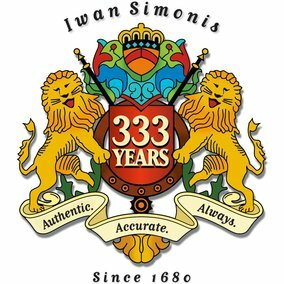 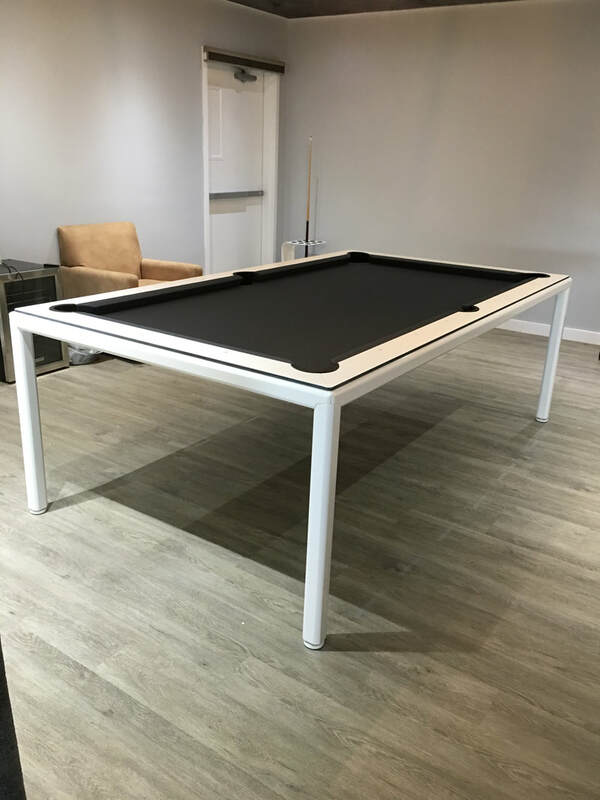 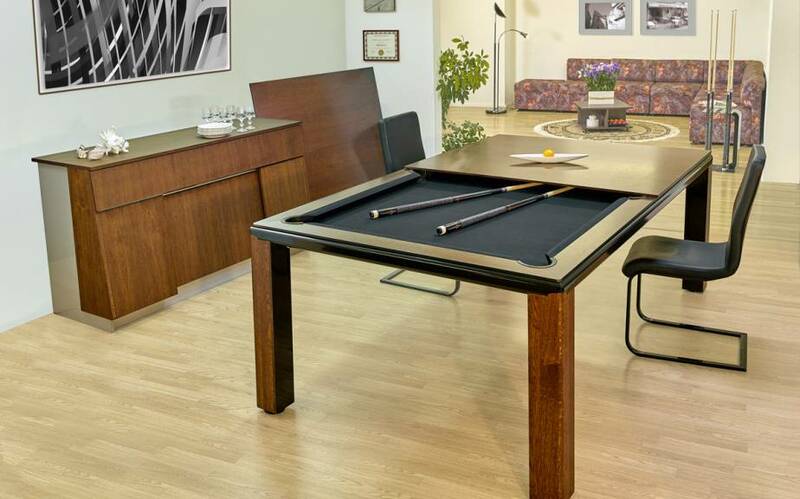 Our Simply has the thinnest frame of any pool table in the world! 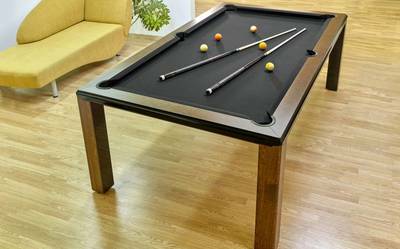 Thickness of the whole top (frame + cushion) is only 7cm. It was achieved by using special steel construction design. 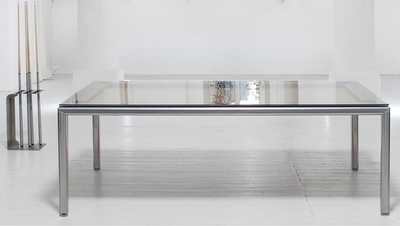 ​Available in size 7' and 8'. 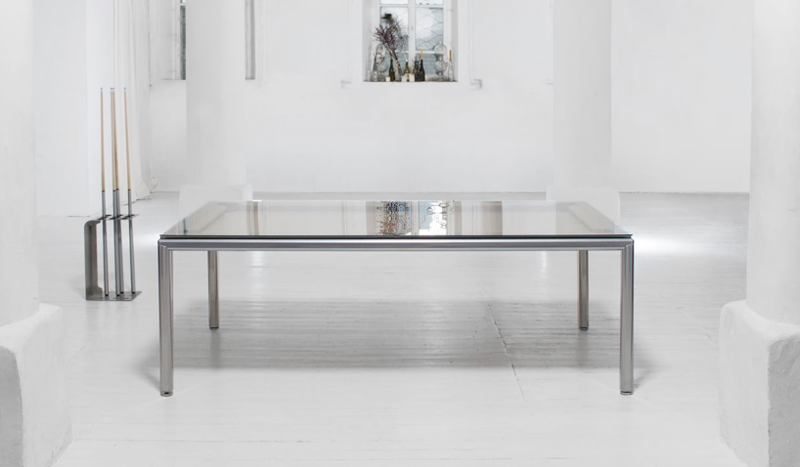 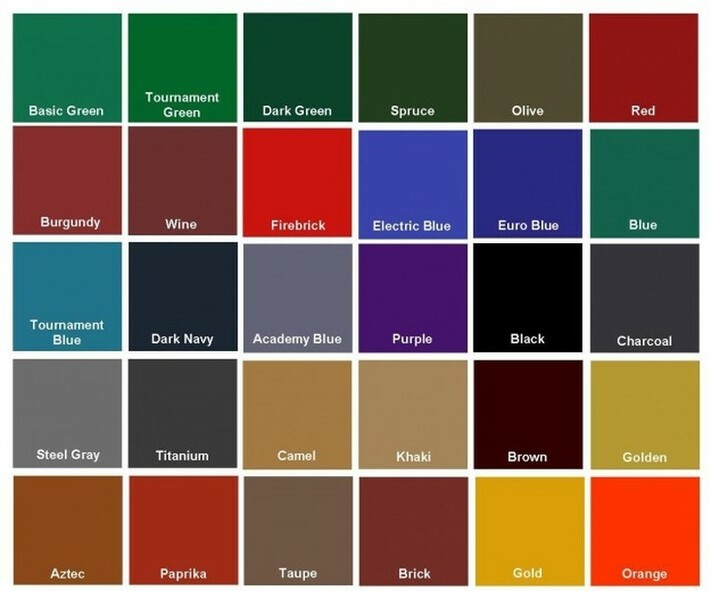 Finish is a stunning lush powder powder coat. 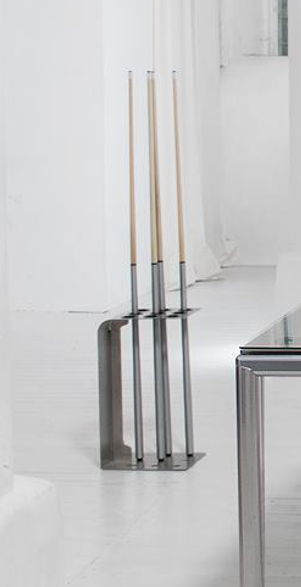 ​Highest precision of machining for the perfect body, top, and corners on every Simply table. 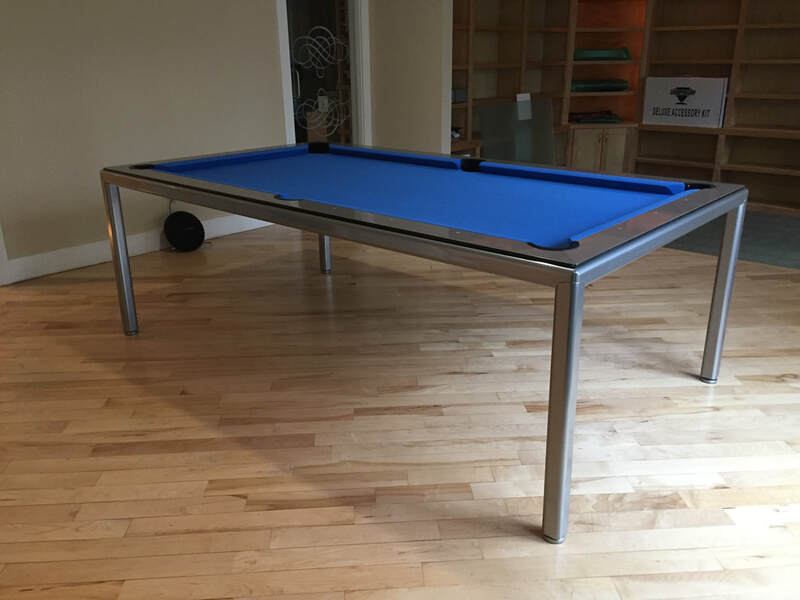 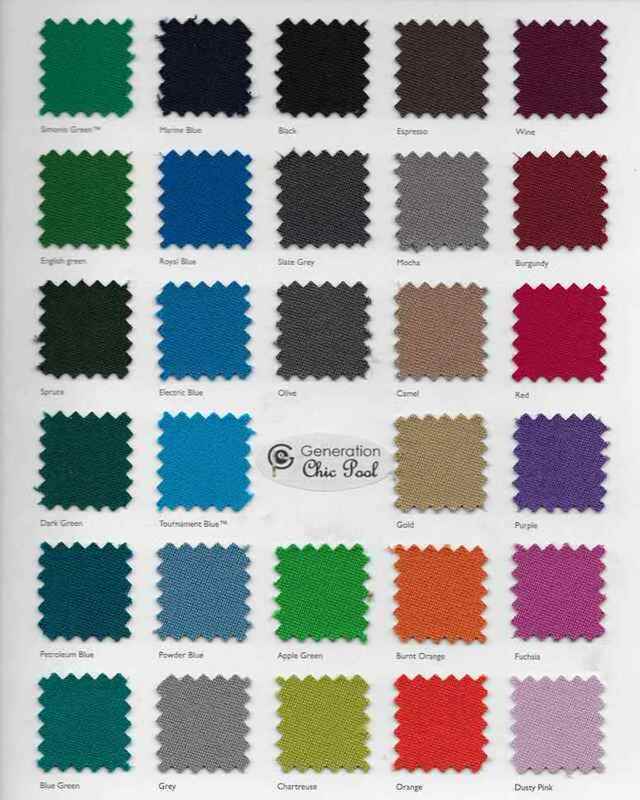 ball return ($400.00) available on skinny legs, otherwise drop pockets are standard. 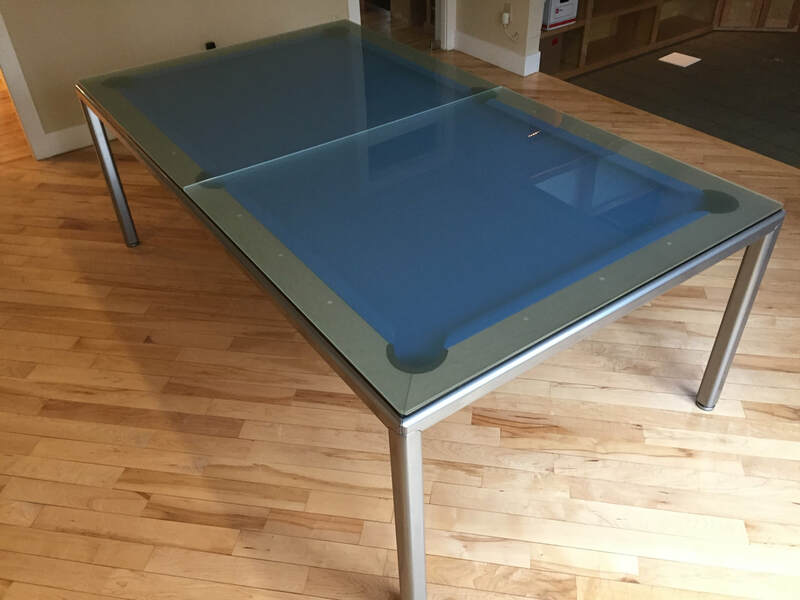 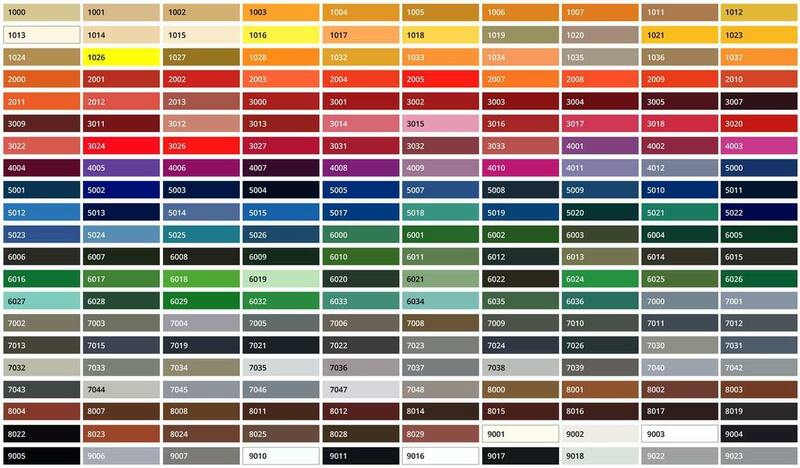 Steel CNC metal frame construction design. 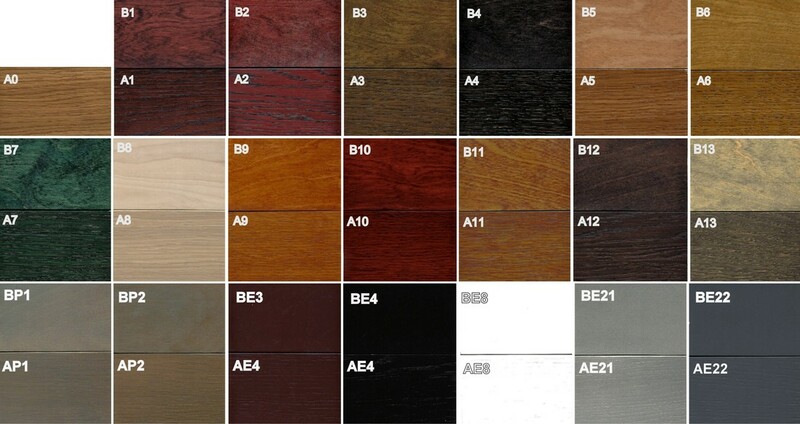 1cm thickness oak veneered HPL cushion. 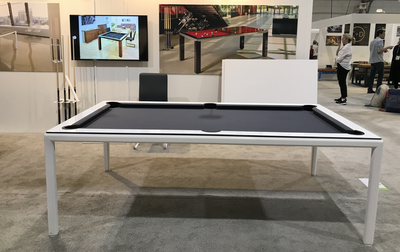 7' ~ outside dimensions: 90" x 51"
​ inside dimensions: 78" x 39"
playing surface is regulation 29.7"h with or without hydraulics.